It is the brain that controls all our acidities. 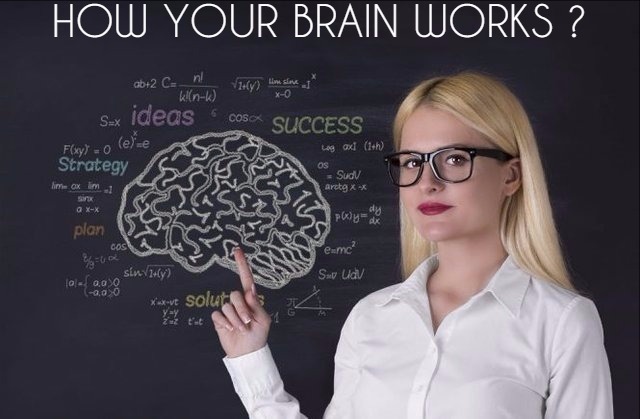 Have you ever thought of how your brain works? There are lots of misconceptions about the working of brain. This article will help clear all your misconceptions. It is the genes in us that determine whether we are extroverts or introverts. But to some extent our brain also has a role in this. It all depends on the emotional stimuli. If it runs through a shorter pathway in your brain, involving the faculties of sensory pleasures, it makes you extrovert. If the same stimuli runs through a longer pathway that involves memorizing, analyzing, and problem solving`, it makes you introvert. This can explain why some people are slower and lethargic to respond to situations even if it is very exciting, while others just need a hint of the same to make them fully excited. The extroverts show stronger response in the dopamine system of the amygdale and the nucleus in the brain. Many a time you may feel that 24 hours, with just your two hands, two legs and one brain, is not enough to achieve what you need. Even the feeling there is little time and you have to do a lot, is the activity of the brain. Take care not to load your brain with such thoughts. It will take only a few seconds for your brain to decode and process them. This gives you a feeling being overworked. What you have to do is to think that there is lots of time left, and plan accordingly. Now you will see that you are more relaxed and happier. This will reflect in your work too. Exercise is not only good for your body, but it is good for your brain too. While you perform exercises, your brain reads it as stress. As a result, it begins to secrete the happy hormone, BDNF (Brain-Derived Neurotrophic Factor) and chemicals called endorphins. These help in protecting and repairing your memory neurons. This way you will feel more relaxed and happy after you do your regular exercises. So, stop worrying too much about what may happen in future, about the targets you were not able to achieve, deals unfixed etc. Try to lower the stress, and think about regular exercises, meditation and proper sleep. This along with nutritious food is what you need to think about. This way you will stay happy and stress free, and your brain will be more active and in good condition. Your brain cannot do multitasking. If you thought it can, you are wrong. Many people are good in multitasking and think that it is the brain that helps in doing multitasking. In fact, your brain only switches from one context to the other. By doing too many things at a time, you are actually reducing the productivity of your brain. You should concentrate on one task at a time. This way you can boost the activity of the prefrontal lobe of your brain. ‘Making mistakes is better than faking perfections’ – this is called Pratfall’s effect. We tend to like people who sometimes act careless and make mistakes. This is because perfectionist is generally considered morose. People who make blunders are usually found to be easy-going and understandable. They are also more human. So, making some mistakes is not something to be worried about. This finding is based on a study made on participants who took part in a quiz. In a survey immediately after the quiz, people preferred the participant who knocked off his coffee cup during the quiz. Make sure that you take rest properly. When you are on a tight schedule, take short naps in between. Get good sleep at night. This can improve your memory power. Sleeping is the time when your brain can actually process the thoughts that is already fed in it, and reorganize and restructure them, so that you get the best creative ideas. So, you can say that sleep helps in increasing your creativity as well! Find it hard to believe? It is true. Your brain is more creative when you are tired. This is because when you are tired. You get easily distracted to your surroundings. So, you are tempted to think out of the box. Off peak working hours are best for exploring your possibilities. You become more innovative these times as you are less confident being over tired. Stress can affect your health as well as your brain. Chronic stress can increase glucocorticoids and decrease the regulation of cortisol. This leads to cellular changes in the hippocampus. If you are stressed for a pronged time, it can affect the smooth functioning of your brain. So, slow down to avoid causing any serious damage to your brain structure. People with reduced hippocampus are more at a risk of suffering from Post Traumatic Stress Disorder (PTSD). Make sure that you enjoy the wonderful sights around you. Let these sights dominate your thoughts. You may find it hard to believe, but your brain is subjugated by your eyes. If you are still finding it hard to believe, see something, like a video tutorial. You will notice that you can remember at least 65% of what you saw contrary to the verbal messages of the same. This is because the brain decodes the verbal cues in pictures and makes you understand them. Audio-visuals have double impact.